Three Layers of Applied Theatre – Telling the Stories of the Culture Palace Summer University Course in Tirgu-Mures / Marosvásárhely - 11th -21st of July 2017. Experience cultural diversity and dive into the theory and practice of art-mediation with theatrical methods and personality development as well as into the basics of participatory theatre. The ten-day summer course offers a complex cultural and educational experience, with theoretical basics in applied theatre paralleled by project-based application. 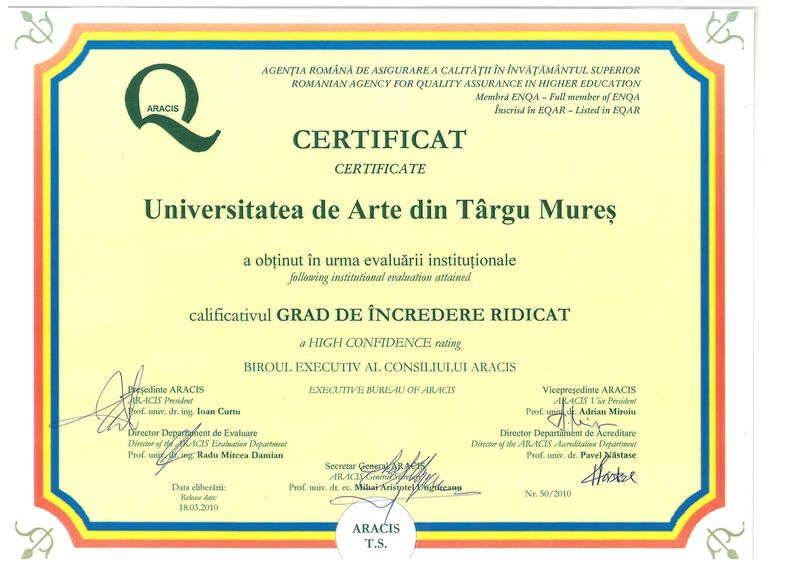 Participants will devise their own applied theatre activities inspired by the Culture Palace of Tirgu-Mures, built at the beginning of the 20th century and rich in stories and artistic activities. (More about the Culture Palace: http://www.palatulculturiimures.ro/istorie_en.html). The courses will serve also for further development of future joint modules of the two universities. We welcome students and graduates of SZFE and UAT, as well as other university students or graduates interested in the application of drama and theatre techniques in various fields. Course leaders will be Júlia Neudold from Örkény Theatre, Budapest, and university lecturers Mária Albert, Kinga Bakk-Miklósi, Kinga Boros, Anda Cadariu, Máté Gáspár, Dániel Golden, Eugen Păsăreanu. Send your CV and letter of intent describing your interest for the application of theatrical methods (1-2 pages, 12 Times New Roman, 1.5 line spacing) to: regenyi.julia@remove-this.szfe.hu Applications will be evaluated in the order of their arrival.